For our faces’ cleansing we usually use make-up remover. But what would you say about balm? Cailyn brand created deep cleansing and moisturising balm. Dizzolv’it Make-up Melt Cleansing Balm, not only removes dirt and all traces of make-up, but also massages and revitalises skin of the face. How does this miracle cosmetic work? Dizzolv’it Makeup Melt Cleansing Balm from Cailyn has pretty hard form. Only after contact with warm skin it takes more plastic form, that reminds balm. You have to apply the cosmetic on dry skin of your face with use of applicator or clean hands. Then perform face massage in circular motion. Make-up melts down and disappears instantly leaving your face clean, supple, and luminously radiant. Along with the cosmetic there goes also all the germs and dirt, that gathered on the surface of the face during the day. Pores are cleaned of all the sebum and dead skin cells. During make-up removal we can perform massage which will boost our blood circulation and support cell renewal and we will feel relaxed. Dizzolv’it Makeup Melt Cleansing Balm from Cailyn brand is good for all skin types. It dissolves sunscreen, foundation and even the most resilient waterproof make-up. What is more, the balm is very nutritious for our skin, thanks to the valuable herbal compounds. Among many we can enumerate: papaya, marigold, pomegranate, aloe and lemon extract. People with allergies should be careful because Dizzolv’it’s balm also contains ingredients that can be harmful to them, mainly: PEG, which are fillers and aromas. 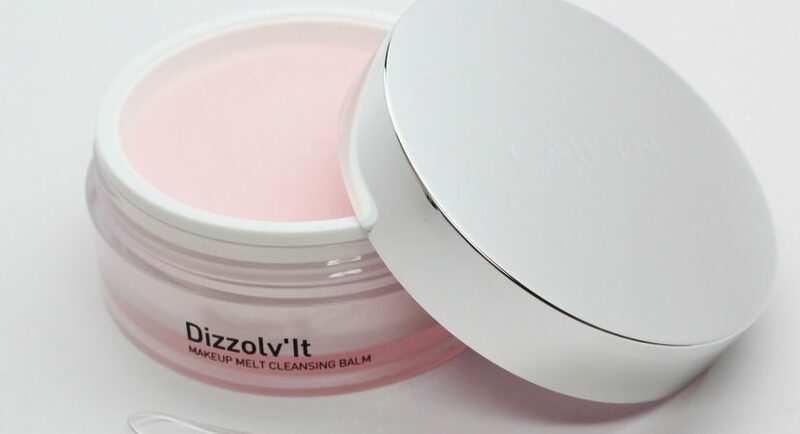 Dizzolv’it Makeup Melt Cleansing Balm from Cailyn is available in light pink jar. We can choose from two sizes: 50 g and 100 g. To every jar we get small spatula for simpler application of the product. It is very comfortable, because limits contact of our fingers’ skin with the product, and lowering the risk of germs proliferation in the cosmetic.